vrSoftware, the developer of leading visual merchandising and design software vrMockshop, is continuing its commitment to training across the retail industry after giving away £10m for the education of the next generation of retail professionals. The software, which lets retailers create and merchandise a three-dimensional model of a retail store, has been offered to universities and colleges across the world to help provide students with cutting-edge retail skills. The total value of software given away has now surpassed £10m and vrSoftware has committed to giving away £5m over the next year. The company has been offering its vrMockshop tool to over 250 educational establishments across all corners of the globe - from London to New York to New Zealand. In the UK it has provided support to several organisations including the National Skills Academy for Retail, The Fashion Retail Academy and Hugh Baird College in Liverpool. As this software is used by major retailers such as Nike, Calvin Klein, Reebok, Hugo Boss, Tommy Hilfiger, Adidas and Levi's, the giveaway is helping to prepare students with transferable skills to the workplace. The technology has helped students learn the art of visual merchandising at a detailed level to let them plan, build and visualise an entire 3D store – a dimension impossible with the physical limitations of most educational institutions. Thousands of students are using vrMockshop to quickly set up virtual stores, dressing them with 3D hanging and folding merchandise, adding mannequins, POS materials and even posters to produce crystal clear 3D merchandising. vrSoftware has found that students pick up the intuitive software very quickly - one student had learned the software and built his own store in less than 20 minutes! The company is also helping with the apprenticeship programmes pioneered by the National Skills Academy through its SkillSmart centres. •	vrMockshop is software which allows clients to assemble a three-dimensional model of a retail store (or a section of a store) with realistic merchandise. •	The visual merchandising software is fast, flexible and incredibly straightforward to use. 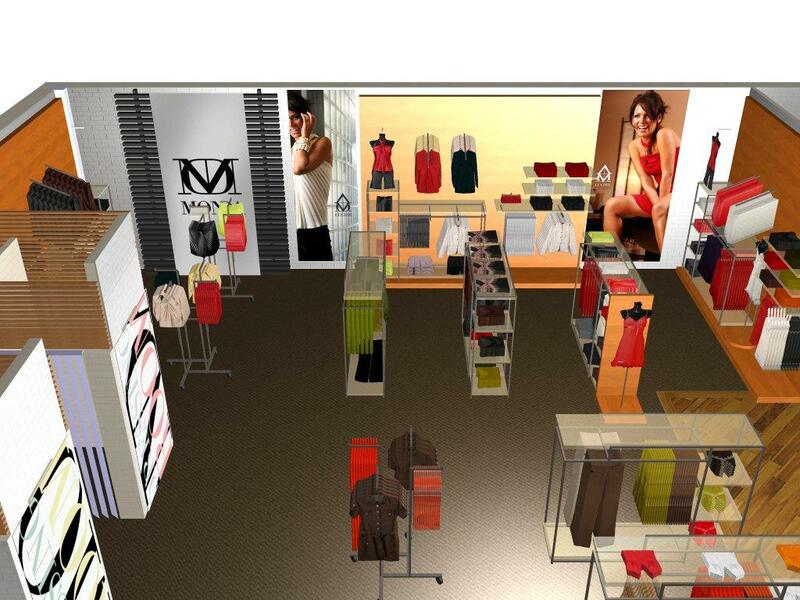 •	vrMockshop reduces operating costs, drives sales and improves efficiency. vrSoftware has been an essential and trusted tool for 15 years. •	The software has over 5,000 users in 30 countries. •	Customers include major global brands such as Nike, Calvin Klein, Reebok, Macy's, Hugo Boss, Tommy Hilfiger, Adidas, Levi's and many more. •	The software is already being used in over 250 educational establishments, ensuring that the visual merchandisers of tomorrow are competent users of vrMockshop. •	For more information, pictures or to set up an interview with vrSoftware please contact: Lisa Berwin Communications, lisa@lisaberwin.co.uk, 0207 631 1168, 07734531447. This press release was distributed by ResponseSource Press Release Wire on behalf of Lisa Berwin Communications in the following categories: Business & Finance, Education & Human Resources, Retail & Fashion, Computing & Telecoms, for more information visit https://pressreleasewire.responsesource.com/about.